The HubSpot mobile app gives you access to some of your most important marketing (iOS only) and sales tools and data (iOS and Android) on the go. 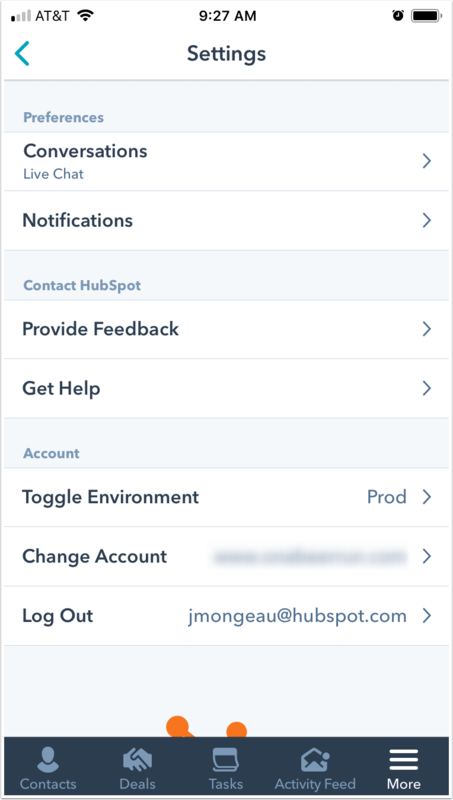 Once you log in to the HubSpot app, you can view and update contacts and companies, monitor your deals and tasks, access your chat conversations, and manage your app settings. 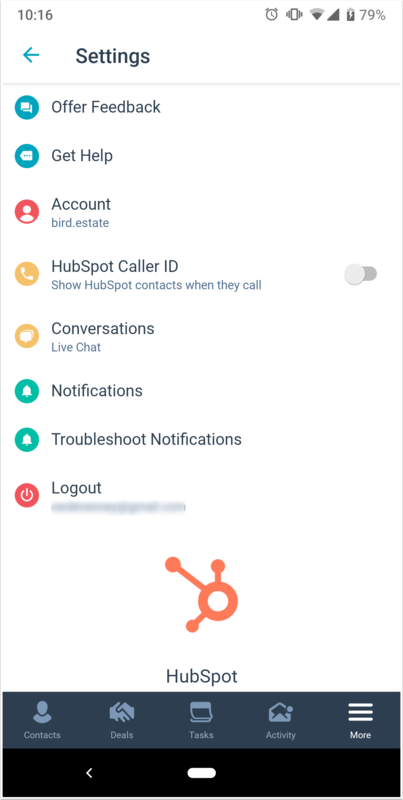 Please note: in the HubSpot mobile app, you only have access to the tools specified in your user permissions. If you can't access a tool, ask an account administrator to edit your user permissions. Add a new contact or company. 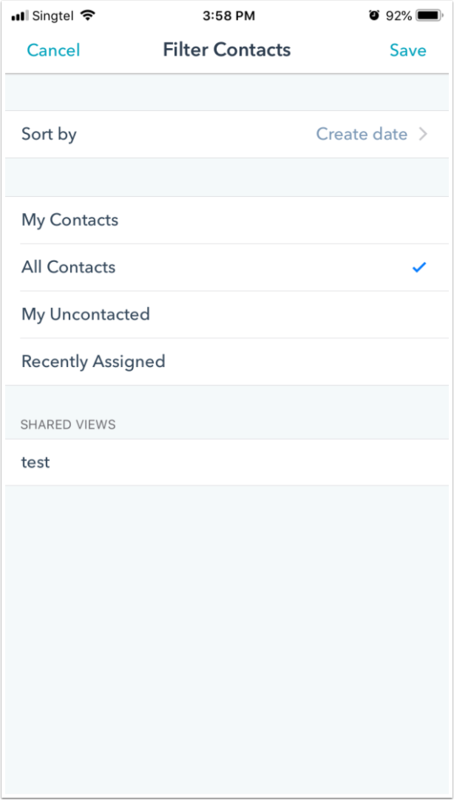 Make changes to any existing contact's or company's properties by tapping the About tab. Associate a contact with a company or a deal by tapping the Associations tab. Call, send a text message, or send an email to your contact using the icons below their photo. 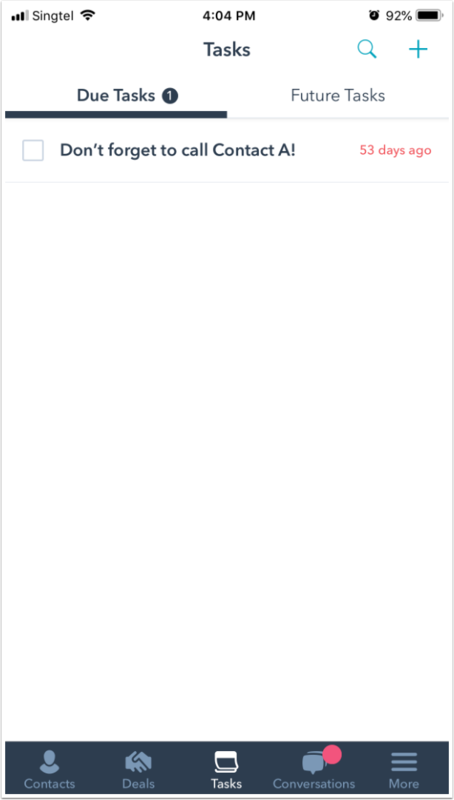 Add a note, activity, or task to a contact or company's record. To access a list of your most qualified leads, filter contacts and companies based on your saved filters in the HubSpot CRM. At the top, tap All Contacts, or All Companies to filter the records. To interact with your deals, tap Deals in the bottom navigation menu. Swipe left and right to view the existing deals in each of your stages. 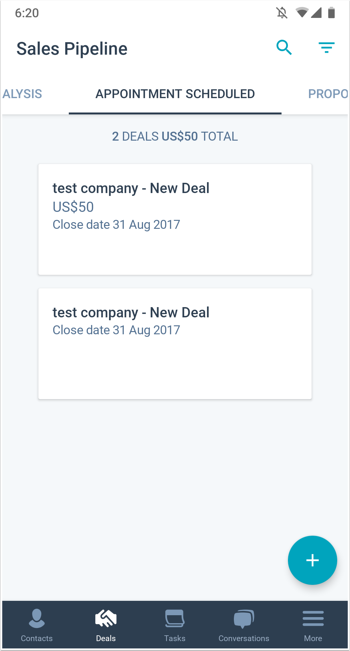 You can also tap the + icon in the top right to create a new deal, and tap a deal to view its timeline, contacts, and properties. 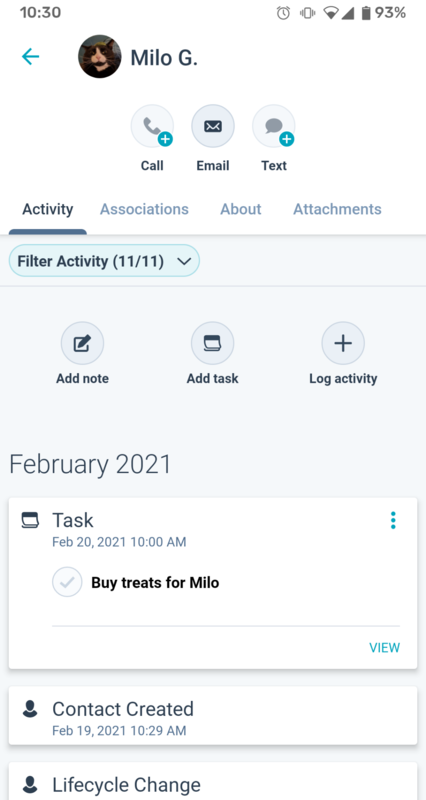 On the deal timeline, you can add a note, activity, or task. To interact with your tasks, tap Tasks in the bottom navigation menu. You can view and edit existing tasks, and create new tasks by tapping the + icon. 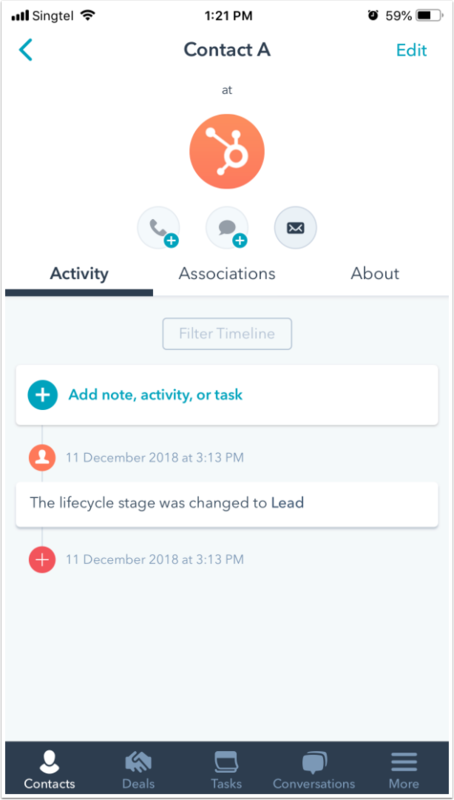 To access your chat conversations and continue the conversation with your leads and contacts while on the move, tap Conversations in the bottom navigation menu. 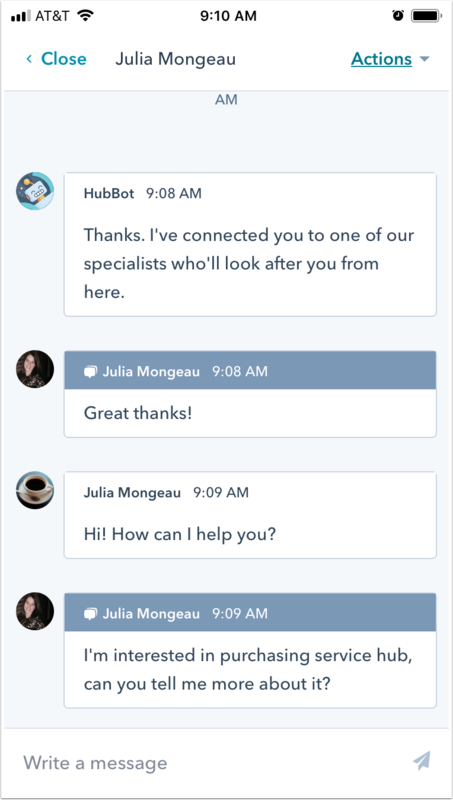 Learn more about using conversations in the mobile app. 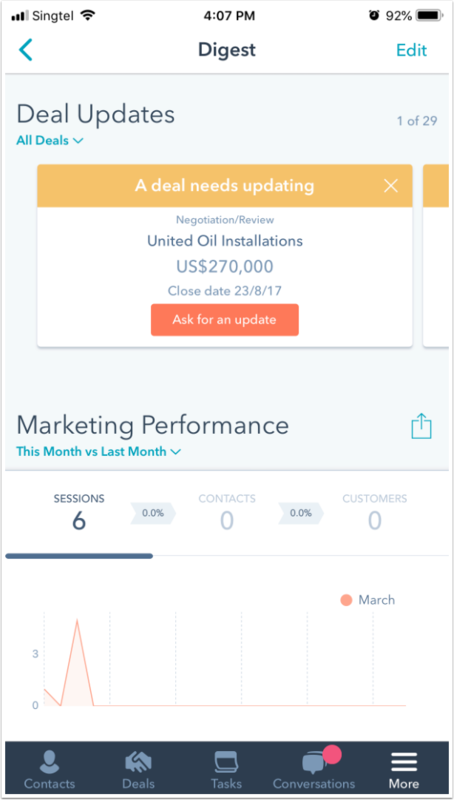 Manage your Preferences and Account settings, as well as provide feedback on the mobile app and get help from the HubSpot Support team. To access your settings in iOS, tap More in the navigation menu, then tap Settings. For Android users, tap Settings in the bottom navigation menu. With the activity feed (iOS) and Activity menu item (Android) you can monitor your recent HubSpot Sales activity. To access this in the iOS app, tap More in the navigation menu, then tap Activity Feed. iOS: view and filter your Opened, Sent, and Clicked emails, and website revisits, and view other sales engagements such as calls and meetings. You can also send tracked emails from the app by tapping the Compose icon description in the upper right. These emails will be recorded in your activity feed. Android: view your Opened, Sent, and Clicked emails. You can also send tracked emails from the app by tapping the Compose icon description in the upper right. These emails will be recorded in your activity feed. The Digest screen can be customized to show you information for the HubSpot CRM & Sales, Marketing, and Productivity. To access Digest, tap on More in the navigation menu, then tap Digest. To add, remove, or reorder the widgets on your digest screen, in the top right, tap Edit. You can tap Add a widget to add a new widget to your digest, or tap and drag the listView icon to reorder your widgets. Learn more about the different digest widgets below. 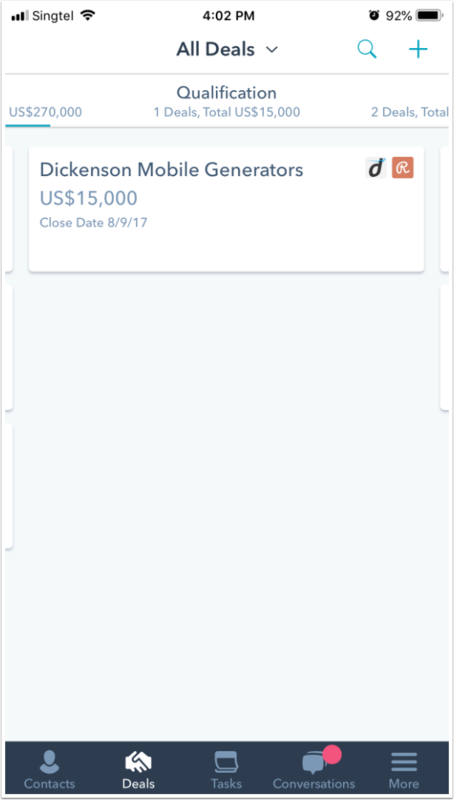 This widget lets you check on any open deals. View which deals are in each stage. You can comment, create an Activity, or a Task for any deals. Swipe left or right to scroll through your deals. This widget ranks your sales reps based on revenue closed, weighted deal total, emails sent, calls made, and meetings booked for today, the week, month, quarter, or year. The performance widget displays metrics for your website sessions, contacts, and customers for the timeframe specified. You can tap Sessions, Contacts, or Customers to change the visualization. This widget shows you metrics for your HubSpot landing page performance. View the number of views, submissions, conversation rate, and new contacts created in your landing pages. You can also tap the dropdown menu to view your top landing pages. This widget shows you metrics for your blog posts. View the number of blog posts published, the views your blog has gotten, and the number of subscribers you have. You can also view your top blog posts for the timeframe selected by tapping Top Blog Posts. View your marketing email metrics right on your mobile device. To access Marketing Email, tap More in the navigation menu, then tap Marketing Email. In the Analyze tab, analyze how your recipient engage your emails, monitor your email deliverability, view the contacts you've lost, and measure your opens and clicks by device. 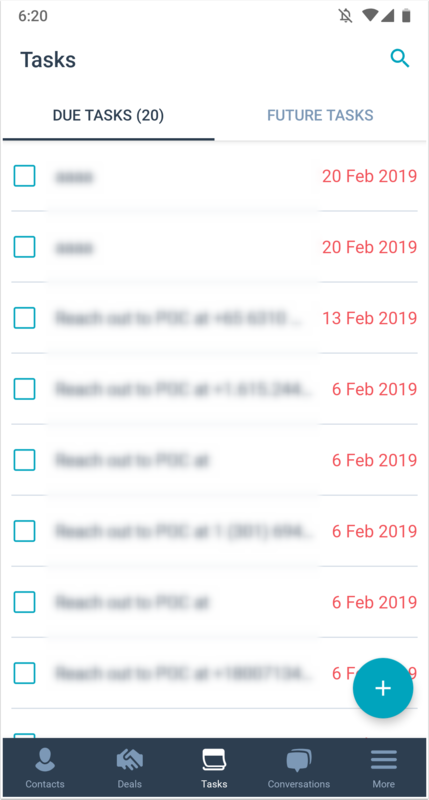 In the List tab, view the opened and clicked rates for each individual email within a selected timeframe.